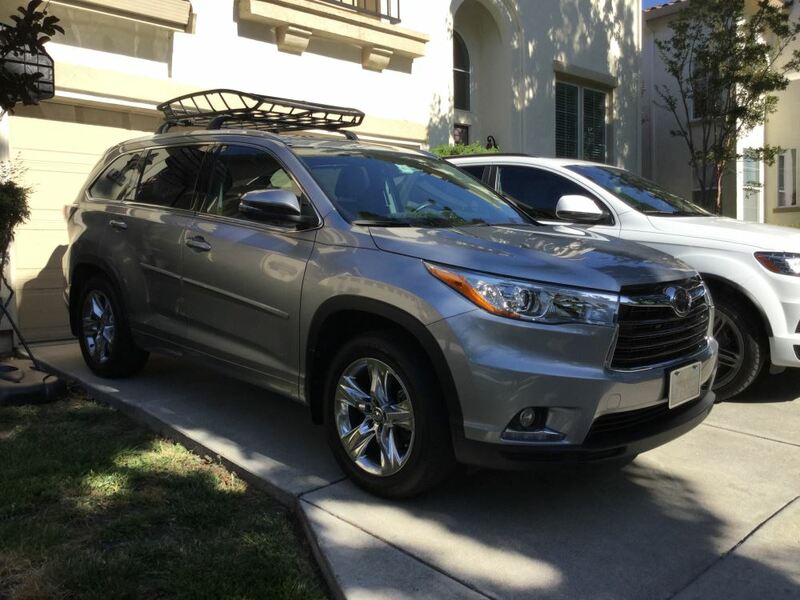 This sturdy cargo basket lets you transport gear on your vehicle's roof. The tubular steel basket has a built-in fairing to reduce drag and wind noise. 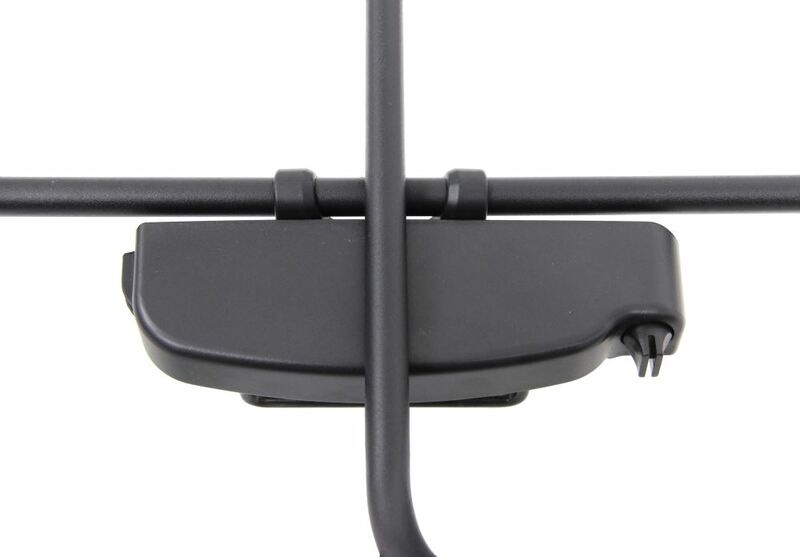 Universal mounting hardware fits most crossbar spreads and configurations. 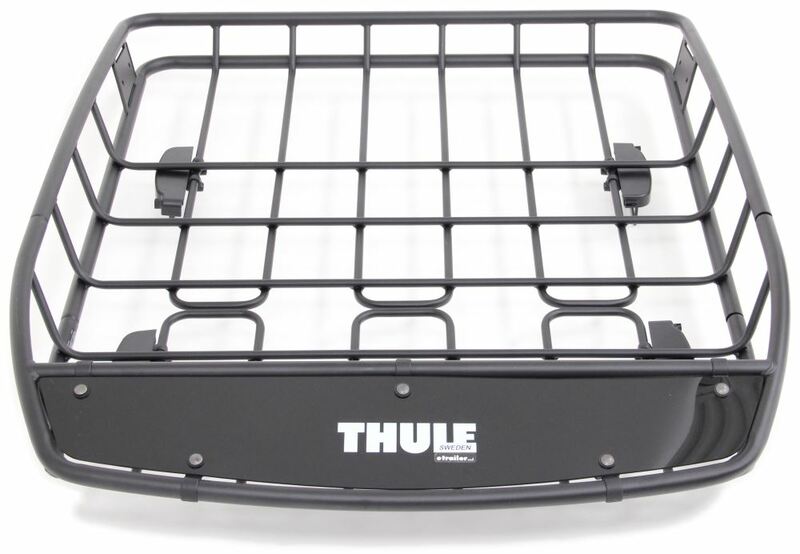 Lowest Prices for the best roof basket from Thule. 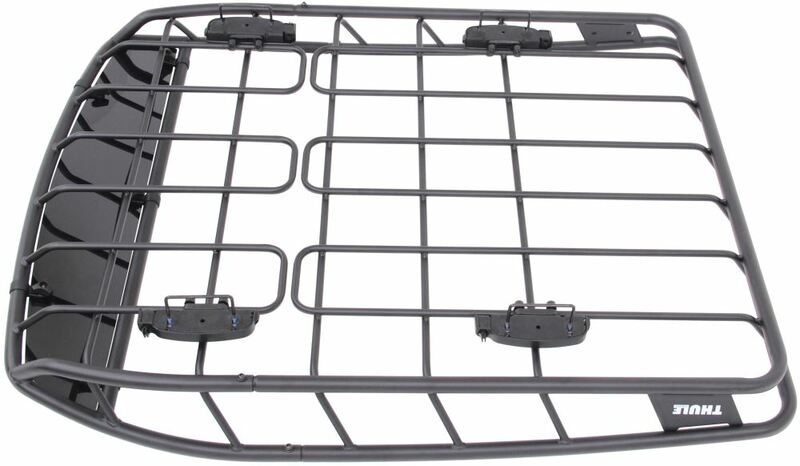 Thule Canyon XT Roof Cargo Basket - Steel - 49" x 40" x 6" - 150 lbs part number TH859XT can be ordered online at etrailer.com or call 800-298-8924 for expert service. 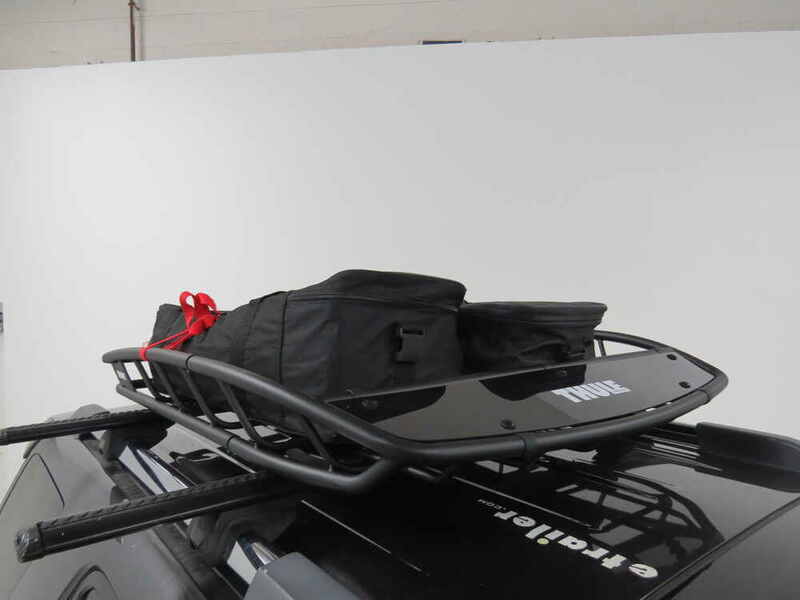 Crossbar spread: 20" - 37"
The Thule Canyon XT cargo basket allows you to easily transport a wide range of gear on your vehicle's roof. It maximizes your vehicle's cargo carrying capacity and keeps dirty and damp gear outside of the vehicle. A built-in fairing reduces drag and wind noise, and the mounting hardware is adjustable to accommodate different crossbar spreads. 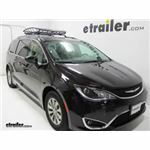 To increase the basket's cargo carrying capacity, install the Thule Canyon XT basket extension (TH8591XT - sold separately). 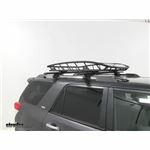 This 20" extension allows you to carry extra-long gear on your vehicle's roof. 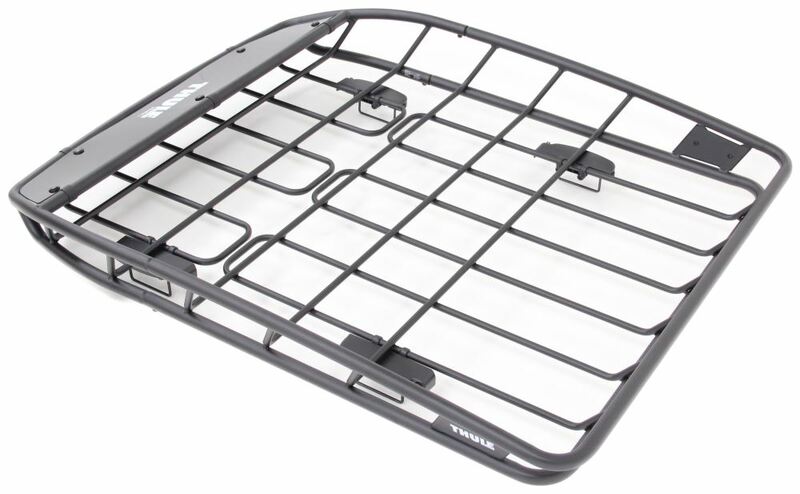 859XT Thule Canyon XT Roof Mounted Cargo Carrier - 49" x 40" x 6"
This sturdy cargo basket lets you transport gear on your Nissan Frontier's roof. The tubular steel basket has a built-in fairing to reduce drag and wind noise. 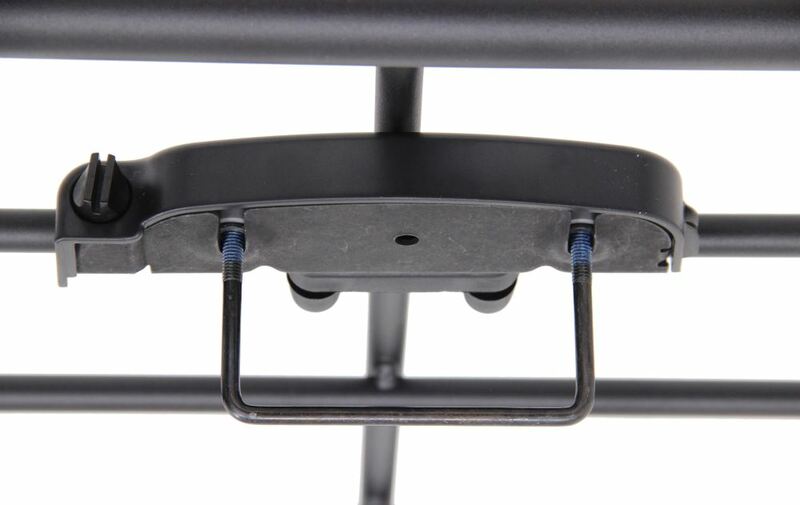 Universal mounting hardware fits most crossbar spreads and configurations. 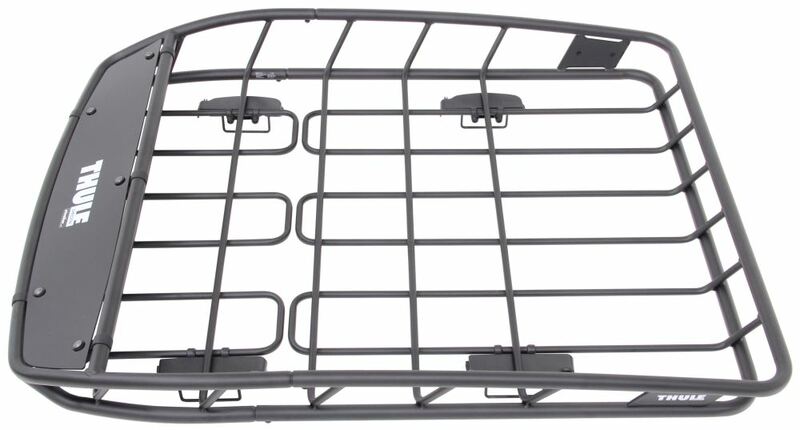 This sturdy black powder coated steel cargo basket provides you with storage space on your roof rack crossbars. An included fairing polishes the look of the basket and reduces wind noise and drag. 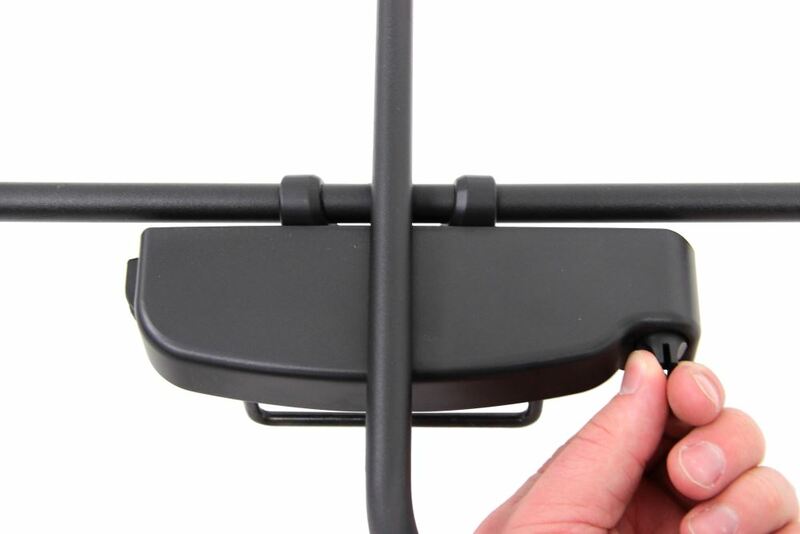 Easy installation with universal mounting hardware. 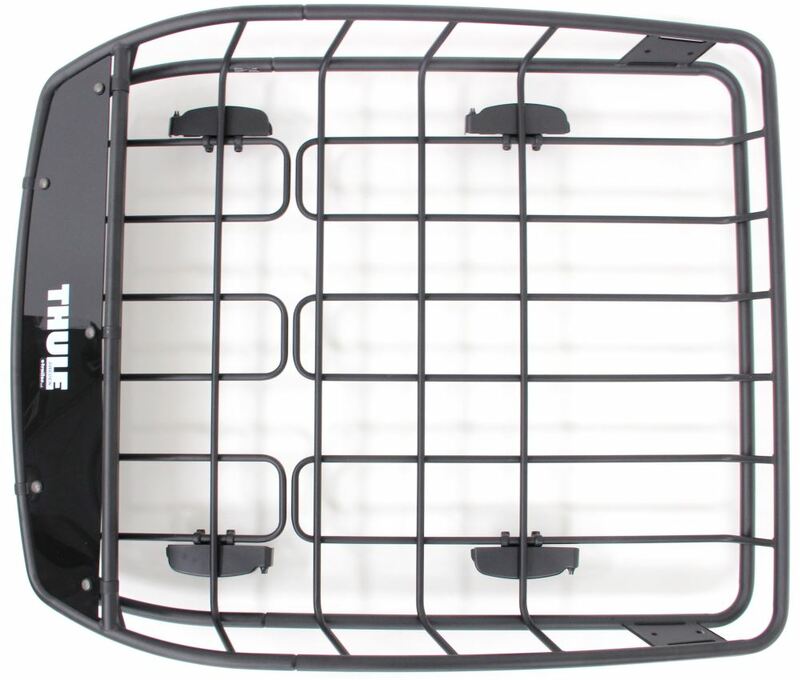 Today we're going to be taking a look at the Thule Canyon XT roof cargo basket. Part number TH859XT. 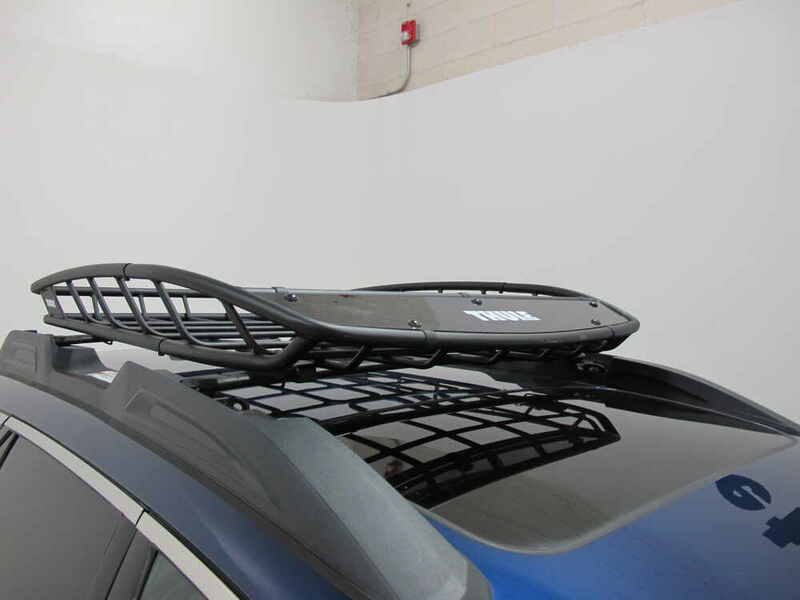 Maximize your vehicle's cargo carrying capacity with the Thule Canyon XT rooftop cargo basket. 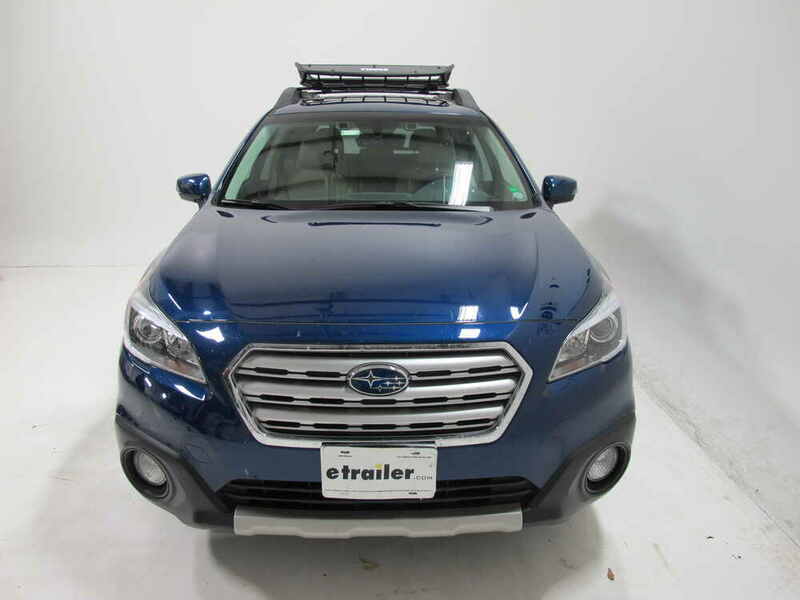 This cargo basket allows you to keep wet, soiled, or oversize gear out of your vehicle's interior to free up more room for passengers and pets. 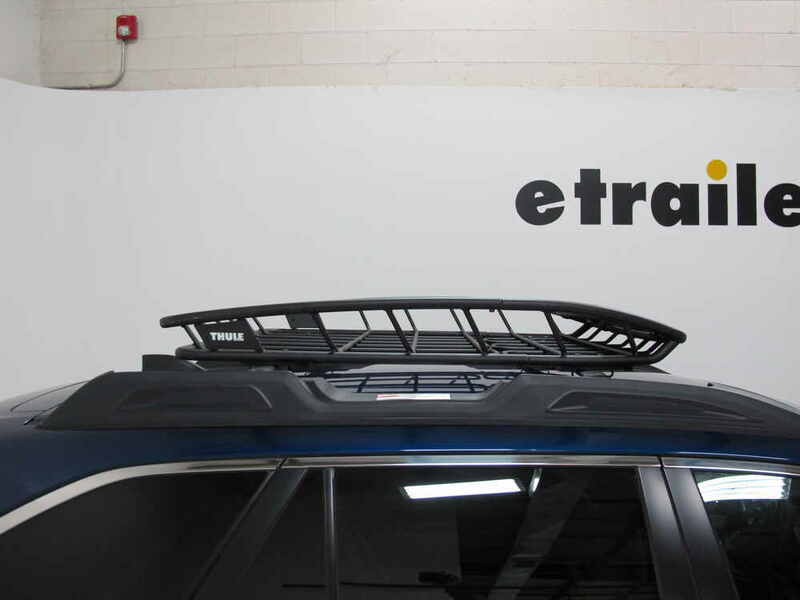 It simply attaches to your vehicle's round, square, aero, elliptical, and most factory roof rack systems. 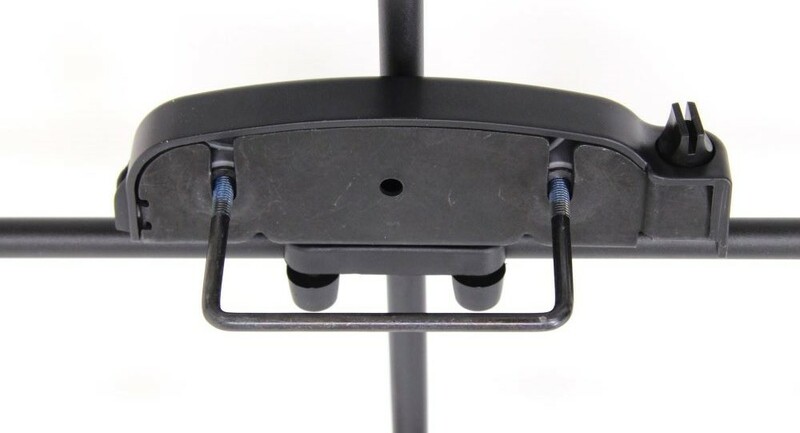 The included hardware allows it clamp around your crossbar, or if your crossbar has a T-slot, you can use the included T-bolts. 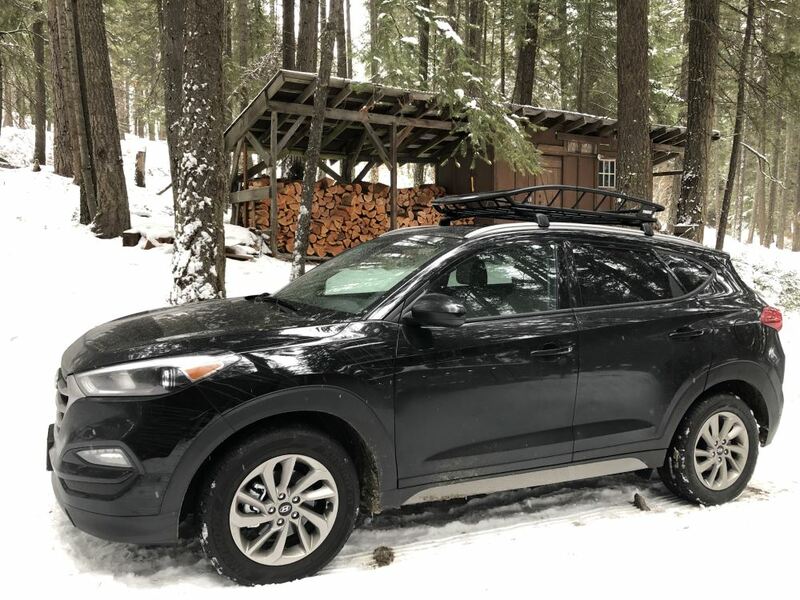 The ability to use your roof rack's T-slot is fairly unique to the Canyon XT. Other roof baskets have more of a boxy shape to them. The tapered edges here make it easier to load up gear. The fairing and the low-profile wedge shape design help reduce wind noise and drag while on the road. It's made out of a sturdy steel tubular construction, and has a black powder coat finish so it's going to resist rust and corrosion. The overall dimensions are 49" long by 40" wide and 6" deep here at the center. If you'd like an extension, you can add an extra 20: here in the center. It's sold separately. You can pick it up with part number TH8591XT. It has a weight capacity of 150 pounds. Of course you want to be sure and check with your vehicle's owners manual to see if your roof can carry that much. It features a limited lifetime warranty. It's very easy to get installed. We'll go ahead and show you that now. We've already got our four mounting plates installed and measured out to match our crossbars. Now you also need to be sure you have a minimum distance between your crossbars of 20". Let's go ahead and put it in place. You want to be sure that the fairing is facing forward, and we can center it up. 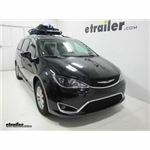 Now when positioning it on your roof rack system you want to be sure to leave just enough room so you can open up your rear hatch. Now let's go ahead and grab our U-bolts. We've got three different sizes depending on your crossbar thickness. We're going to go ahead and use the largest. We'll go underneath our crossbar, and come up through the mounting plate. Then we'll put on a flat washer on each side, and then put on our thumb screws. Once we get it nice and tight we can just repeat the same process for the other three. Now we can put on our cover. We want to be sure and line up this end here that has the hole with the end right here on our plate. We'll start by putting it on at an angle, and then bringing it around like so, and then locking it. If you choose to you have the option to replace this Thule plastic lock with a Thule lock core. You can pick up four of those with part number TH544. 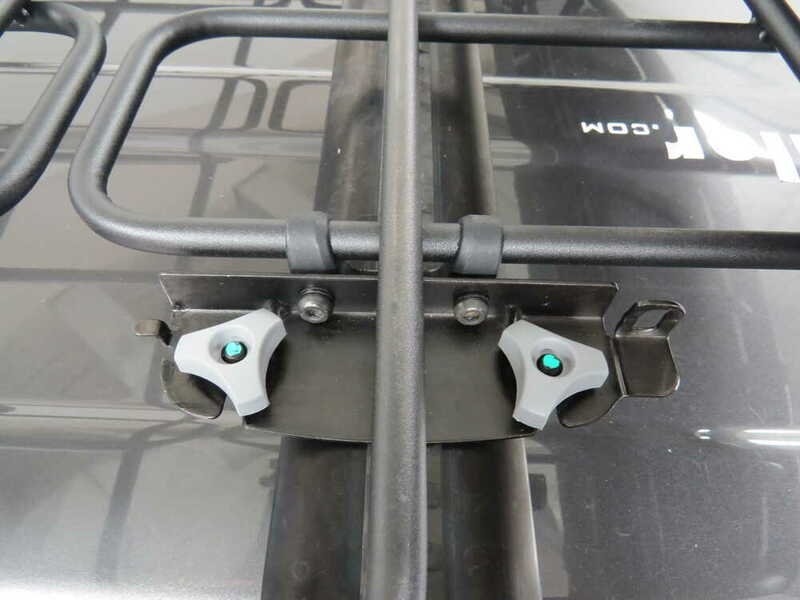 Now if your roof rack system has a T-slot and you prefer to mount your basket that way, the hardware is included and you can do so. There's just a whole here in the center of the mounting plate and you'll be using the same grey knob. Great, now the only thing left to do is to load some gear, strap it down, and we're ready to hit the road. Now we're all set. 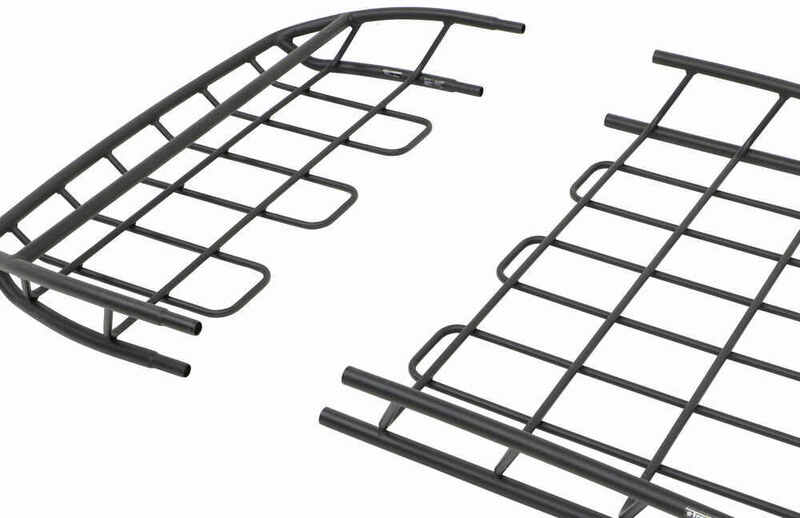 That's going to complete our look at the Thule Canyon XT roof cargo basket. Part number TH859XT. 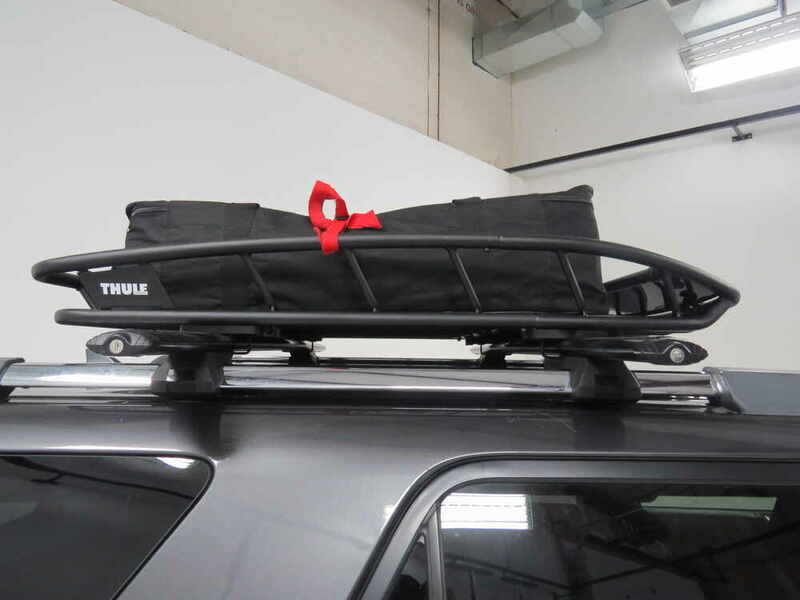 Order: RelevanceNewestRating - High to LowRating - Low to High This sturdy cargo basket lets you transport gear on your vehicle's roof. The tubular steel basket has a built-in fairing to reduce drag and wind noise. 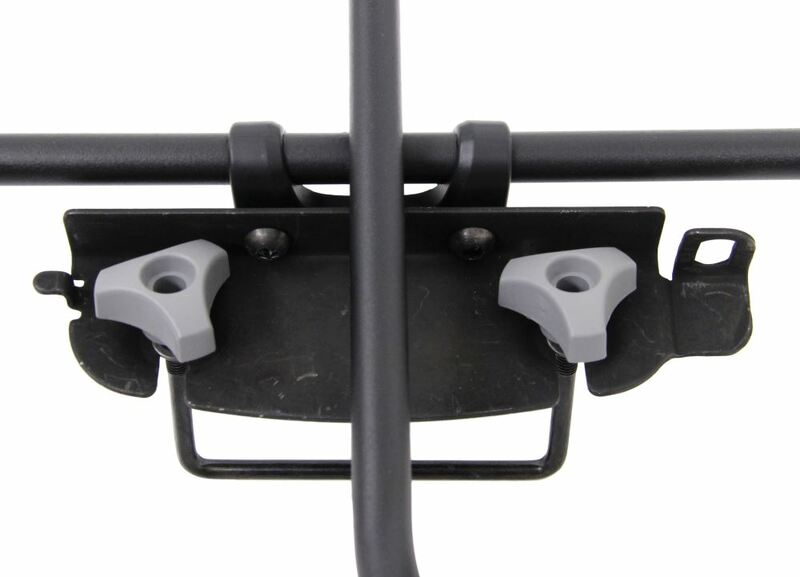 Universal mounting hardware fits most crossbar spreads and configurations. 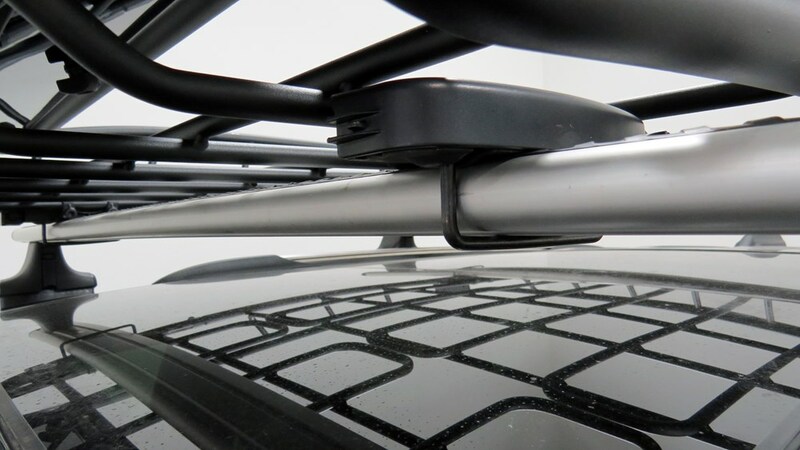 Roof rack accessories are prone to making wind noise but there are a couple ways to help reduce it. If you can move the rack further back on the crossbars that should help but what would help the most is a fairing for the crossbars. 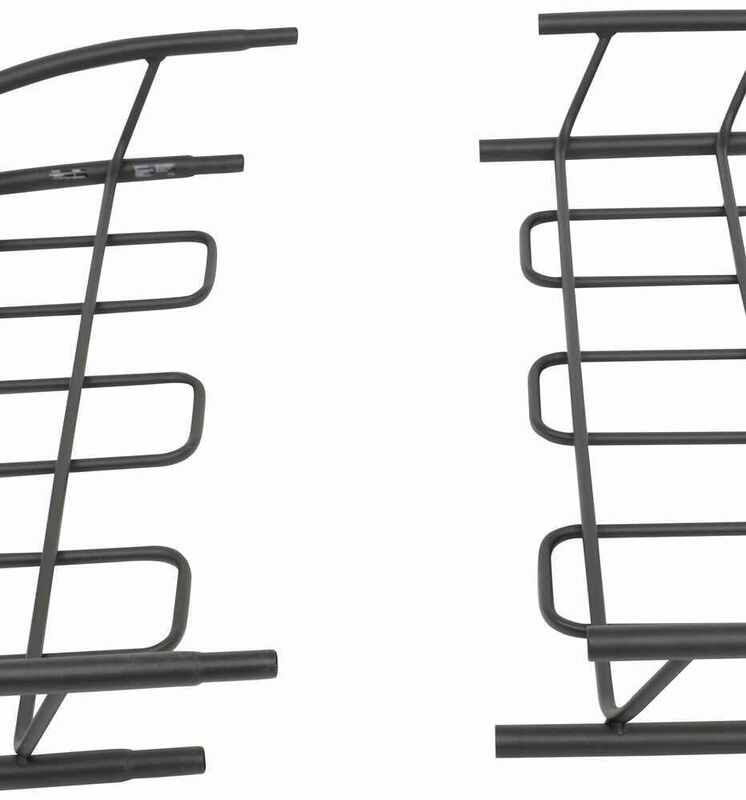 Yakima fairings are designed to basically fit any style of crossbar so you would want the part # Y05017 which is a 40 inch wide fairing (same width as the basket) and that will direct air above the basket and reduce noise. 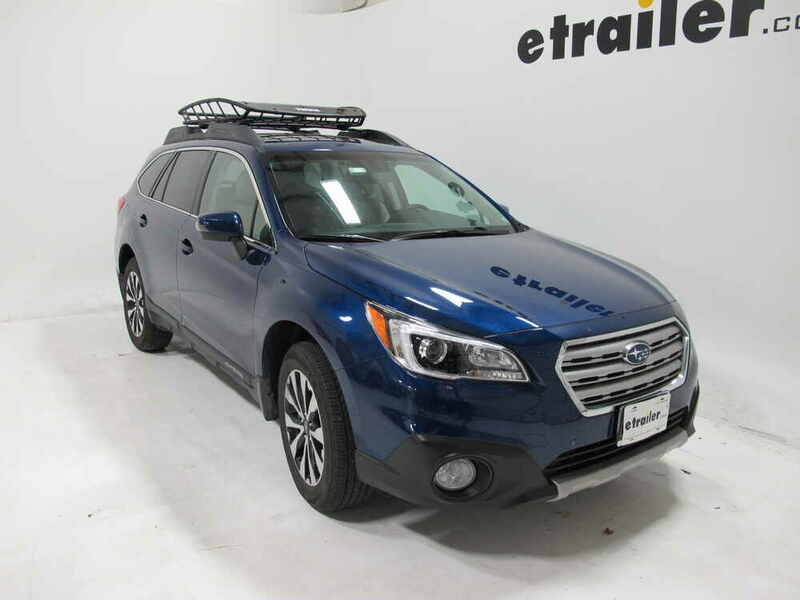 I checked with Thule and the Canyon cargo basket # TH859XT will fit the factory roof rack and crossbars on your 2015 Subaru Outback Wagon. I have included a link to a video review of this basket for you. 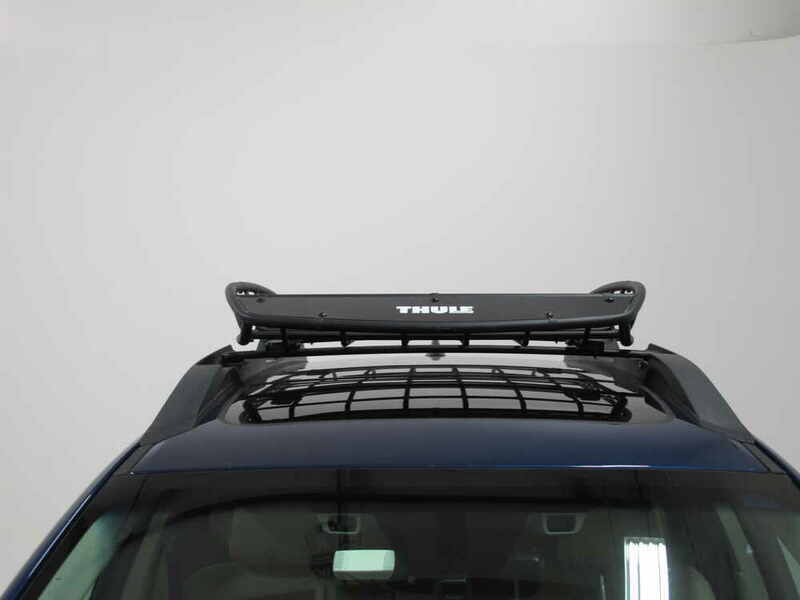 The external measurements of the Thule Canyon roof rack # TH859XT are 50-1/4 inches long by 41 inches wide by 6 inches tall. The internal measurements are 39 inches long by 40 inches wide by 5 inches tall. The usable interior dimensions are 39 inches long by 36 inches wide. You can see these dimensions on the photo I've provided. To see a product demonstration video, click the provided link. 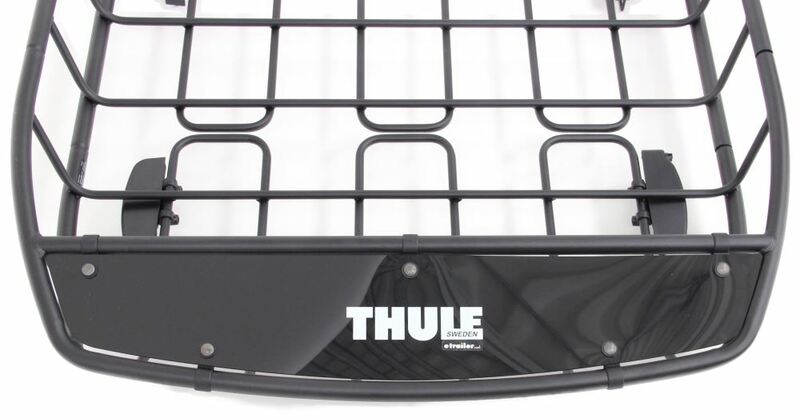 Is a Roof Mounted Bike Rack Compatible with My Thule Canyon Cargo Basket? I have a solution for you, but the Curt basket you mentioned does not have the ability to install a bike rack on it. 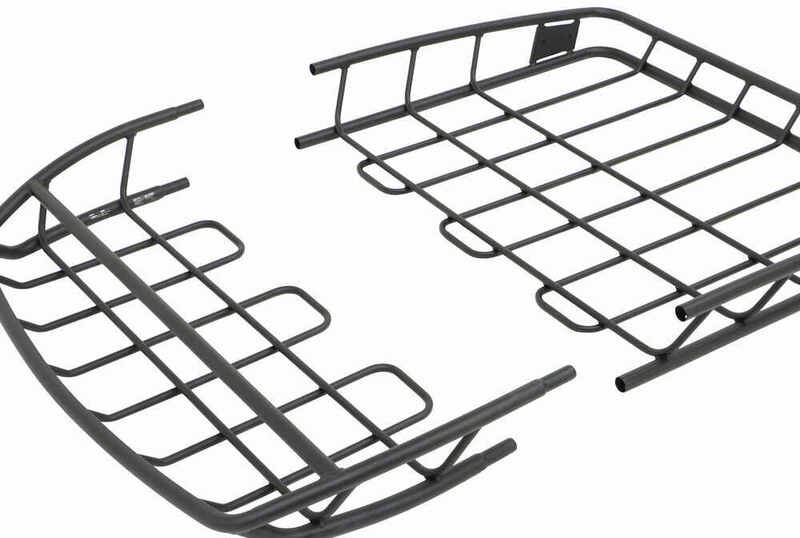 The Thule Canyon XT basket part # TH859XT does have the ability for a bike rack to be installed on it though. For a fork mount you could use the part # TH535 or for a wheel mount you could then use the # TH598004 . I attached review videos for all three Thule items for you to check out as well. Notes: Item is missing some washers bolts and allen key. Otherwise this part is new and unused.